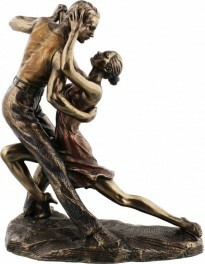 Figurine showing a couple dancing the Tango. Solid cold cast bronze figurine. Well protected within polystyrene casing and a sturdy box.